The list of speaker bios below is in alphabetical order of surname. Susan Belgrave was awarded a Barbados Government Exhibition Scholarship which allowed her to study French and Spanish (Interpreting and Translation) at Heriot-Watt University in Edinburgh where she pursued her undergraduate studies. Susan later attended the London School of Economics to pursue a Diploma in International and Comparative Politics and then a Masters in International Relations. She initially worked in the Ministry of Foreign Affairs in Barbados as a Foreign Service Officer for three years before deciding to re-qualify as a lawyer. She was called to the Bar of England and Wales in July 1989 at Inner Temple, having completed her law degree as a direct entrant in Barbados at Cave Hill Campus of the University of the West Indies (UWI). Her early years of practice were spent in Brussels at the European law firm of Stanbrook and Hooper. In addition to her other qualifications, she holds a Masters in European Law from the Universite Libre de Bruxelles. Susan specialises in employment and discrimination law, and is now at the prestigious and highly respected barristers’ chambers 7BR (formerly Seven Bedford Row). She is described as a leading practitioner in her field by Legal 500 and has been involved in some of the most significant discrimination cases in recent years. She is a trustee of the British Foundation for the University of the West Indies (BFUWI) which raises funds for UWI and seeks to raise the educational attainment of Caribbean students in the diaspora. Susan is a professional champion for First 100 Years, a project celebrating achievements of women in law. Sahar Bhaimia trained as a lawyer and practised in the consumer, IT and commercial sectors at Simmons & Simmons LLP, a leading international law firm, until 2007. After completing her Masters, she worked as an editor at Practical Law (a legal know-how provider) until 2014, analysing and writing on legislative developments and case law in consumer and commercial law (UK and EU). Sahar now provides consultancy, legal support and knowledge management services for law firms, with a particular focus on supporting litigators in the retail finance sector. Samantha Cayron hails originally from Mexico. She has practised as a translator in Mexico and as a Court of Appeal certified translator and interpreter in France. Her academic career comprises both research and teaching legal translation, and in 2015 she completed a PhD thesis at the University of Geneva, on the French-Spanish certified translation of notarial documents in the probate field. Her current work at the TRANSIUS Centre for Legal and Institutional Translation Studies in Geneva focuses on translation in judicial settings and comparative law. 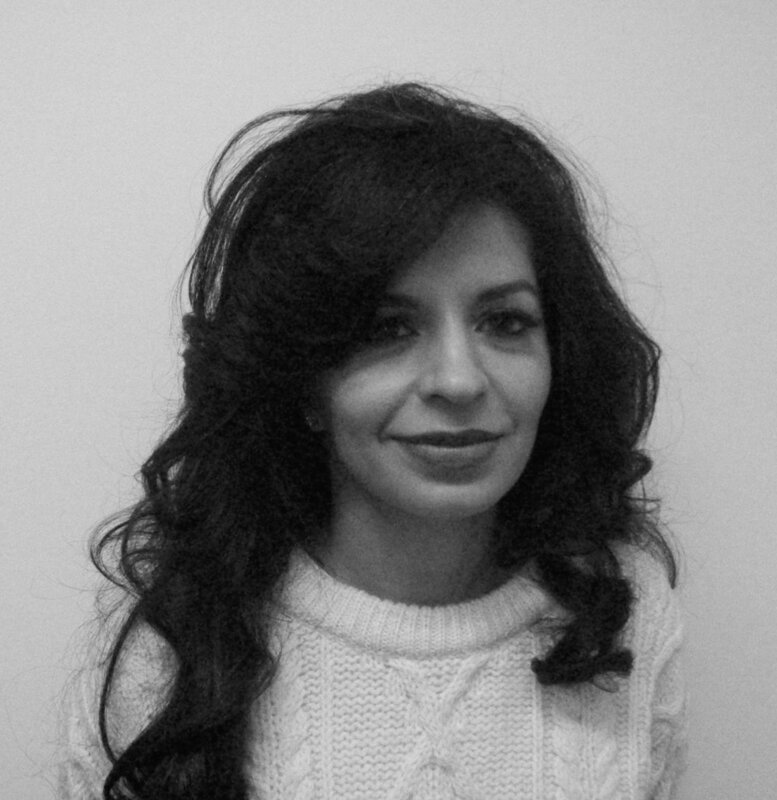 Hanem El-Farahaty is a Lecturer in Arabic/English Translation and Interpreting and Programme Manager for MA Arabic/English Translation at the Centre of Translation Studies and Arabic, Islamic & Middle Eastern Studies at the University of Leeds. Having completed her undergraduate and Masters studies in Egypt, she moved to the UK in 2007, and in 2011 was awarded a PhD for her research into Arabic Translation Studies with a particular focus on legal translation. Hanem is the author of Arabic-English-Arabic Legal Translation, a groundbreaking investigation of the issues found in legal translation between Arabic and English. The book analyses parallel authentic legal documents, examines the features of legal discourse in both languages, as well as translation techniques. Find out more here. Christina Guy is an experienced Dutch to English legal translator. Originally from Bath, England, Christina's home base is the Netherlands. Her work is almost entirely for large international law firms, with a particular focus on corporate litigation, competition law and EU law. She is dedicated to promoting collaboration between lawyers and professional translators to streamline the drafting process. She advocates that professional legal translators become actively involved earlier in the drafting process so that they may contribute their specific expertise at those junctures which impact on the final work product. Christina is a Chartered Linguist and founder of the Stridonium community for professional translators. She has also worked with the UKTI to promote contacts between translators and the corporate world. David Hutchins is a Solicitor of the Senior Courts of England & Wales. He founded and then ran a successful London firm for 30 years. He speaks and reads French and has a working knowledge of German, Italian, and Latin, and holds a certificate in Teaching English as a Foreign Language. David now provides unique, bespoke training in law for legal translators working both into and out of English, and for non-English-trained lawyers. David’s courses, delivered all over Europe and in London, as well as via Skype, are described over and over again by attendees as inspiring, clear, entertaining and highly informative. An opinionated advocate of professional organisations and a strong believer in trans-national and multidisciplinary co-operation, Henry Liu is a Past President of NZSTI and is the current President of the International Federation of Translators (FIT). Henry is a consultant interpreter in English, Chinese and French. Experienced at the highest level, he has been an interpreter for heads of state and other dignitaries. His specialties are law, diplomacy and international trade. Henry is a champion for the profession. and is heavily involved in professional training and setting up of professional standards and guidelines. He has also been an advisor to many government departments in relation to translation policies, access and quality issues. In 2012, he was appointed by the Chief Justice of New Zealand as special advisor to the Cross Bench Committee. Gianluca Pontrandolfo combines an academic career with broad experience of practice. His doctorate involved a comparison of Italian, Spanish and British English criminal judgments, while his practical experience includes the official translation of the Italian Code of Criminal Procedure, and a wide range of court and other legal documents, particularly from Spanish. He currently teaches at the prestigious University of Trieste Department of Legal Sciences, Language, Interpreting and Translation Studies (formerly SSLMIT). Juliette has over 25 years’ experience as a legal translation practitioner. Her specialist fields include corporate litigation, financial crime and EU legislation. As a legal translation studies researcher, she has published several chapters & papers, and her recent doctoral thesis is entitled “Optimising the performance of outsourced legal translation”. She has a particular interest in continuing professional development and legal translators’ professionalization, as well as reinforcing links between academia and practice. Born 1955; studied economics, languages and law at King’s College, Cambridge (1973-77); university teaching and research at Corpus Christi College, Oxford (1977-80); called to the Bar (Middle Temple, 1980); Barrister (1980-87 and 1990-2005); Legal Secretary (“référendaire”)in the Chambers of Advocate General, subsequently Judge, Sir Gordon Slynn (1987-90); Lecturer in EC and comparative law (Director of European Legal Studies) at University College London (1990-92); Lecturer in the Faculty of Law (1992-98), and subsequently Affiliated Lecturer (1998-2005), at the University of Cambridge; Fellow of King’s College, Cambridge (1992-2010); Emeritus Fellow (2011 - ); Senior Research Fellow at the Centre for European Legal Studies of the University of Cambridge (1998-2005); Queen’s Counsel (1999); Bencher of Middle Temple (2005); Honorary Fellow of Corpus Christi College, Oxford (2010); LL.D (h.c.) Glasgow (2010), Nottingham Trent (2011) and Stockholm (2014); Honorary Professor, Riga Graduate School of Law (2011); Advocate General at the Court of Justice from 11 January 2006. Ingemar Strandvik is Quality Manager at the Directorate-General for Translation, European Commission. He has a background as an authorised legal translator and lexicographer, and holds a Master's degree in EU law. Ingemar regularly publishes academic papers, contributes to books and is a respected authority on the subject of how translators fit into the lawmaking process at EU institutions, revision processes and and quality in legislation. Paulina E. Wilson is an academic lawyer, consultant and lecturer. She holds Master’s degrees in English and Legal Science, as well as a PhD in Comparative Law and Legal Translation. She has been running a linguistic consultancy for two decades, specialising in legal translation, court interpreting and training services. Paulina works at the School of Law and the School of Arts, English and Languages at Queen’s University Belfast, teaching, among others, tort law, legal methods and skills, advanced legal translation and court interpreting. Her research interests include comparative criminal and tort law, intercultural legal communication and forensic linguistics.